A six-month territory-wide clean-up effort is scheduled to begin soon, and will be led by Premier and Minister of Finance, Hon. Andrew A. Fahie. As such, members of the public are being asked to get on board. 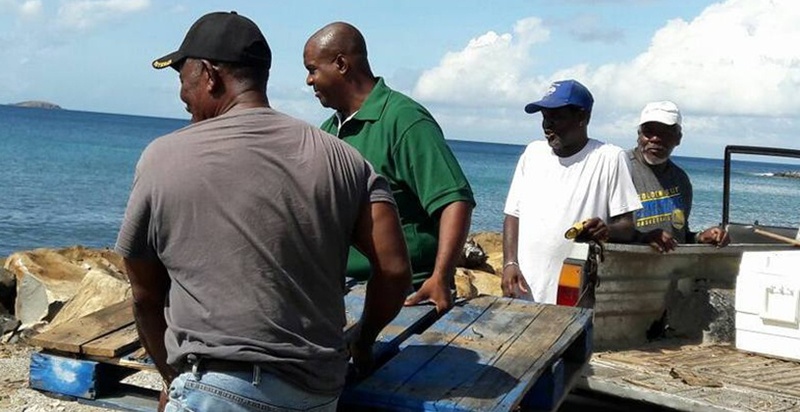 Over on Virgin Gorda, efforts have already begun with an intense derelict collection project which is being implemented by the Department of Solid Waste and the Recovery and Development Agency. On Virgin Gorda, an independent weekend clean-up in personal and community spaces is also scheduled for Saturday, April 13 and Sunday, April 14. Hurray! Sign me up!! Can we bag plastics separately to take to be recycled? Good initiative. We also need an educational campaign to teach people to generate less garbage. We need to get serious at exploring recycling options for these small islands and the amount of garbage we generate. We will ALL benefit from these measures.